yep, i used toile in my son's room. and serve him until he was 7 or 8.
keep in mind that this is a rental. sooo i kept the walls very neutral, and did not add trim. curtain panels were all custom-made. and the bedskirt fabric was purchased from joann fabrics. wait till you see where i bought the fabric for the curtain panels! the furniture mall in hickory, north carolina. the shelf was already in the room. 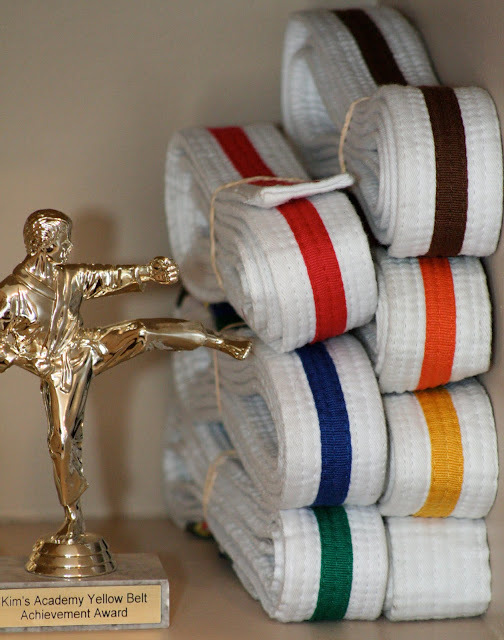 which he won when he was eight years old. along with all the belts! some red fabric and vintage blocks. the sterling silver rattle was a baby gift. you know i love houndstooth! a set of vintage embroidered cars. and a sign that pretty much sums up my little man! these were purchased on ebay. walmart, (yes, walmart!) for $1 a yard! piping of the duvet cover. the table from tj maxx homegoods. i bought the clock for $1 at a local thrift store. the tractor is actually a tooth fairy box. 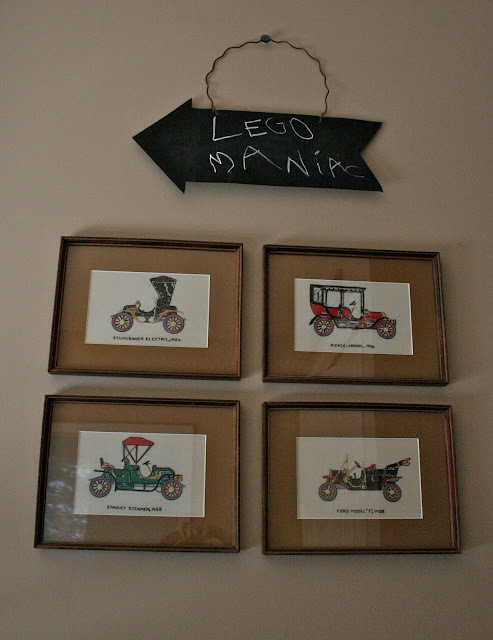 i love adding vintage items to a kids room. i feel it gives them a sense of history and charm. i made this usa pillow. i will post a tutorial later this week. cheetah print sheets from ralph lauren. a little store in hartselle, alabama. the frames cost less than $4 at target. birthday gift when were engaged. spent two years as a missionary before he started college. Wow! This is the most adorable room ever! You are clever and talented. I'm a huge fan of hounds tooth too! Have you seen the h.t. ottoman at Target? I have it and love it. Lucky little man to have such a stylish room! obviously i was dying to mention everything. looks fab, great job! I absolutely love the eclectic collection of items in this space. 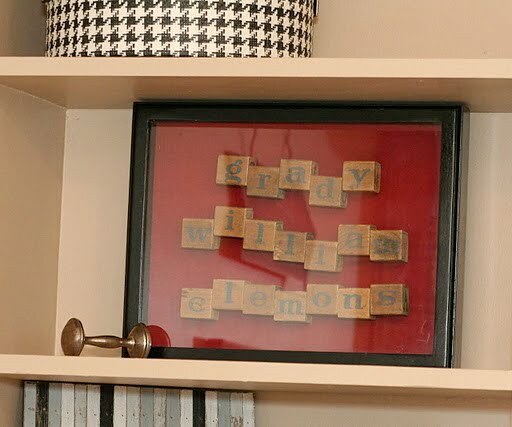 The arrangement over the bed and the blocks in the shadow box are my two favorites. what a cute idea for a boy's room-so unique which is hard to do for boys! 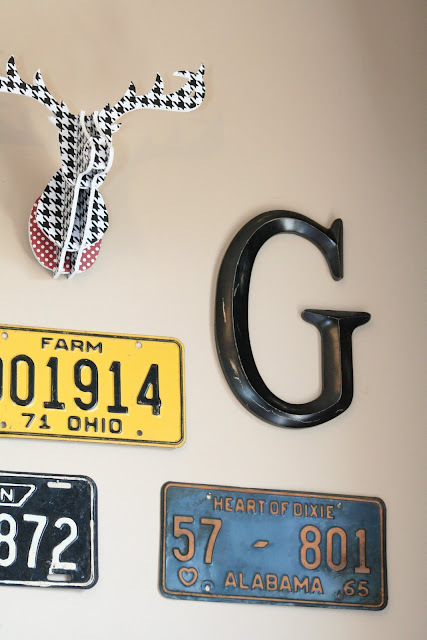 love the added touches of houndstooth. did you say you made the antlers- which i love btw?! the montage on the wall looks great too. that is such a cute room - i love your fabric selections. yes, i made the antlers. easy to do, and can be customized to fit any room. 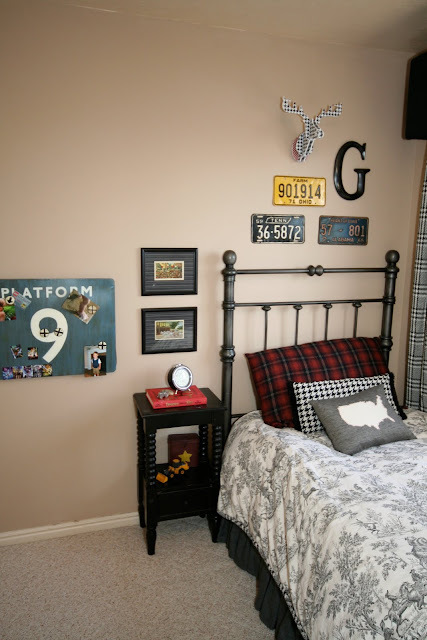 great room, i love to see handsome boys rooms! my olser son, 8 has some in his room and my other son, 2, 's nursery is filled with toile - love.it! 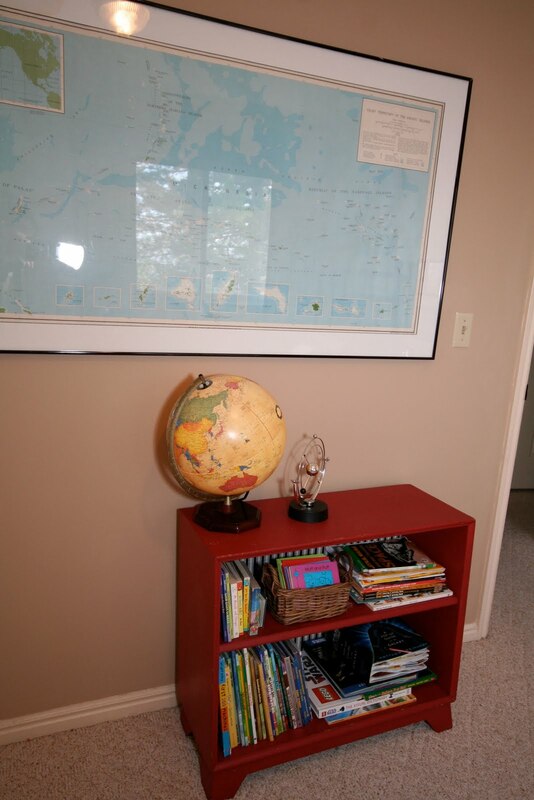 I love it when the details make the room and this is just the case with your son's room. It's eye candy! Need to know the discount fabric store in Atlanta...I love in Chattanooga and there are no goo dfabric stores in this place! I love fabric and can design a whole room around 2 or 3 different patterns...isn't that so much fun. Thanks for sharing! This room is so impressive looking! 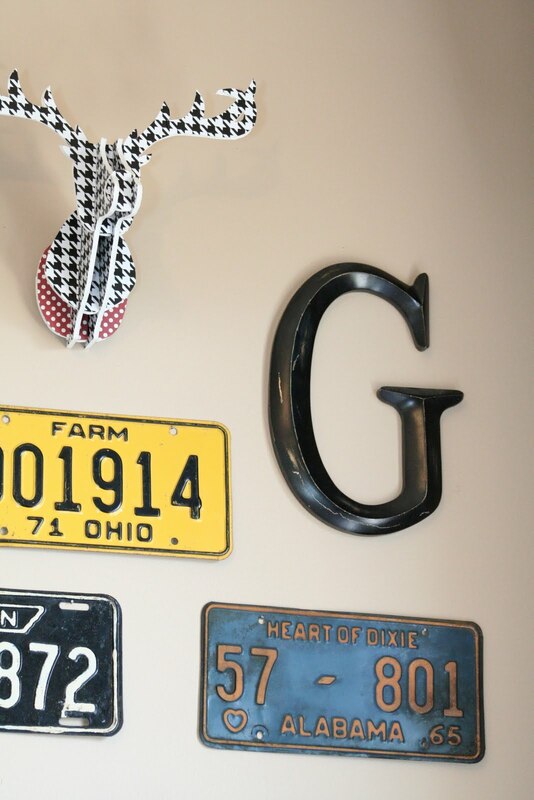 I love every little detail, the colors and patterns used, and how it really shows Grady's little personality! It's adorable! As always another great job well done! I love the vintage blocks...where did you find them? Adorable idea! the vintage blocks were purchased on ebay. 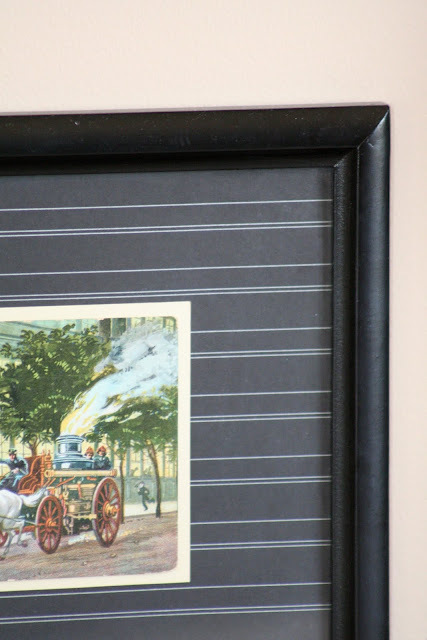 i LOVE ebay as a source for vintage things...so much easier to find just what you are looking for than running all over town to little antique stores! LOVE!! Wow I love your style. Beautiful! Very nicely done! I love the attention to detail!